Ground crews loaded time-critical experiments, including 20 mice to help scientists study muscle atrophy, into SpaceX’s commercial Dragon cargo capsule Thursday, a day before a launch planned from Cape Canaveral toward the International Space Station. The last-minute additions to the Dragon spacecraft’s pressurized cabin also include fresh food and other goodies for the space station’s six-man crew. The rocket will be rotated vertical on its launch pad overnight. Liftoff is set for 4:43:32 p.m. EDT (2043:32 GMT) from Cape Canaveral’s Complex 40 launch pad, roughly the moment the plane of the space station’s orbit passes over the Central Florida rocket facility. The two-stage, 213-foot-tall rocket will release the Dragon spacecraft in orbit about 10 minutes later, then the supply ship will extend two power-generating solar array wings and begin pursuing the station, aiming for arrival early Sunday. NASA astronaut Jeff Williams and European Space Agency flight engineer Tim Peake will grapple the gumdrop-shaped Dragon capsule around 7 a.m. EDT (1100 GMT) Sunday as it flies in formation just underneath the orbiting research complex. 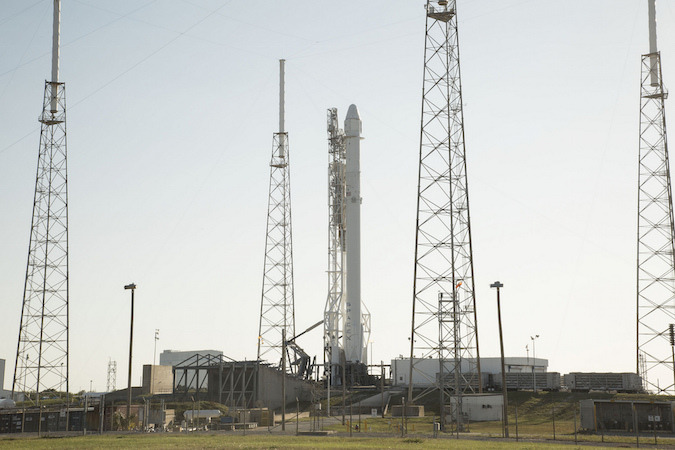 The commercial delivery by SpaceX will be the fourth mission to fly to the space station in three weeks, coming after the arrival of a fresh three-man crew on a Soyuz capsule, and resupply flights by Russia’s Progress refueling freighter and Orbital ATK’s Cygnus cargo carrier. For managers in charge of keeping the space station stocked with supplies, the rapid-fire cadence of visiting spaceships is welcome news. 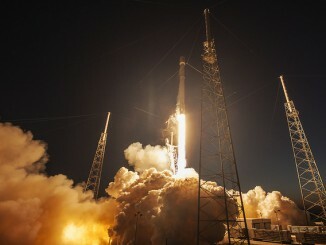 For SpaceX, the launch marks the Dragon’s first flight since a rocket failure in June 2015 destroyed a cargo carrier heading for the space station. 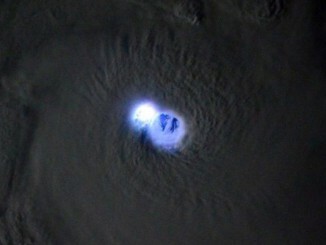 The last Dragon mission to reach the outpost was in April last year. The space station’s other two principal resupply vessels — the Cygnus and the Progress — were lost in launch failures in the months preceding SpaceX’s mishap last year. Astronauts and cosmonauts had to delve into their food reserves while the spaceships were grounded, but Shireman said the research lab is now in the best shape it’s been in since the rash of cargo launch failures disrupted the supply chain. 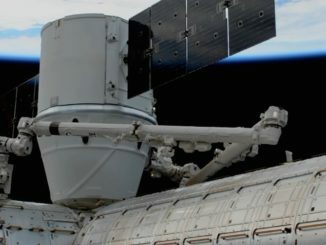 Another much-needed capability only offered by SpaceX’s Dragon is its capacity to bring back research specimens, such as urine and blood samples from the astronauts, and plant and animal tissue from other biological experiments. “Not only will we be carrying an enormous amount of cargo up to the International Space Station, we’ll bring down critical science samples as well as failed hardware from the ISS, as well as removing some trash,” Shireman said. The Dragon spaceship will launch with 6,913 pounds (3,136 kilograms) of cargo. Nearly half of the supply load’s weight comes from a novel experimental habitat built by Bigelow Aerospace, an entrepreneurial firm based in North Las Vegas, Nevada. Founded by real estate investor Robert Bigelow, the company has aspirations to build a commercial space station in Earth orbit using expandable modules that can launch inside tight volumes, then deploy and inflate to full size in space. 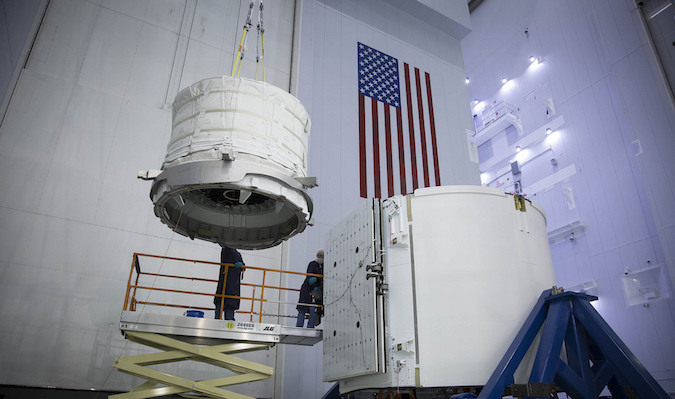 The Bigelow Expandable Activity Module, or BEAM, will ride to the station inside the Dragon cargo craft’s rear trunk section. After arrival, the space station’s robotic arm will grab the module and move it to an attach point on the complex. The soft-sided module will be inflated and pressurized in late May or early June for a two-year test run to see how well it withstands the harsh environmental of space with extreme temperature swings and the threat of impacts by micrometeoroids and tiny fragments of space junk. More than 1,400 pounds of science experiments will fly to the station inside the Dragon spaceship’s internal compartment. They include a habitat with 20 female mice for an experiment developed by Eli Lilly, the Indiana-based pharmaceutical firm, to investigate how an antibody made in the company’s laboratories might inhibit muscle loss. 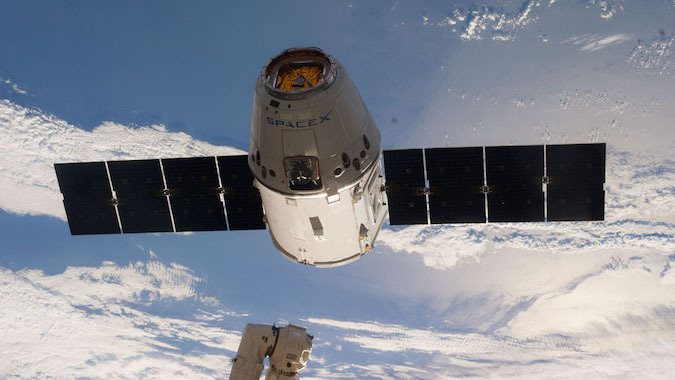 Astronauts will help collect data on the function of the mice’s muscles, then euthanize the specimens and prepare tissue samples for return to Earth aboard the Dragon spacecraft when it comes home May 11. The returning Dragon will also come back with blood and urine samples collected from astronaut Scott Kelly, who completed a nearly year-long expedition on the space station in early March. NASA hopes to study how the 340-day mission affected Kelly’s physiology in preparation for even longer voyages to Mars. SpaceX engineers will again attempt to recover the Falcon 9 rocket’s first stage after Friday’s liftoff from Cape Canaveral. An ocean-going platform departed a mooring at Port Canaveral earlier this week, heading for the planned landing point about 185 miles (300 kilometers) northeast of the launch pad. Officials hope to master rocket landings on the barge — called a drone ship by SpaceX — as the company intends to ramp up its launch rate and start flying used boosters in a bid to cut the cost of its missions. Hans Koenigsmann, SpaceX’s vice president of flight reliability, said the company hopes to prove it can recover rockets on the drone ship following a successful return-to-launch-site landing demonstration after a blastoff in December. Koenigsmann said SpaceX can retrieve the first stage at a landing site onshore after about one-third to one-half of Falcon 9 flights. The rocket is not technically capable of returning to the coast after heaving hefty satellites into high-altitude orbits, such as large telecommunications satellites. The rocket is traveling too fast on such missions to turn around and come back to land. That is when the drone ship is required, allowing the first stage booster to continue arcing downrange. 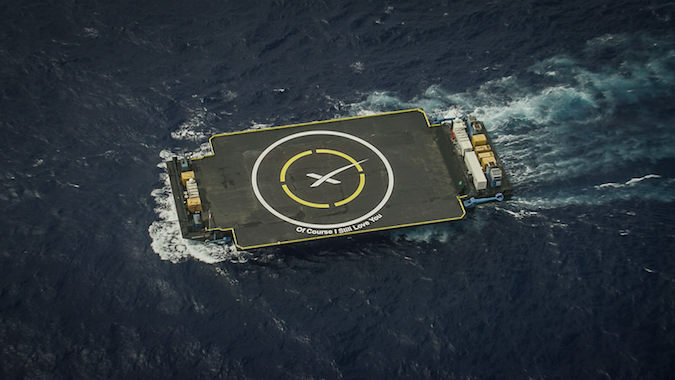 SpaceX’s landings at sea have not been successful to date. The landing platforms are about the size of a football field and require underwater control thrusters to stay in position. Trailing support boats are staffed with engineers and rocket experts to assist with the recovery after landing. “If you have a drone ship out there, it’s going to be more expensive,” Koenigsmann said. “We know how much that it is. On the flip side, if you land on land, you don’t have to wash it and get the salt off. So there’s less refurbishment on the land side. “Our goal is to get to very minimal refurbishment at all, and to fly the rockets after an inspection as soon as possible,” he said. When SpaceX’s behemoth Falcon Heavy launcher begins flying, it will further ease the need for landings at sea. Its two liquid-fueled strap-on boosters, each roughly equivalent to a Falcon 9 first stage, will always be able to return to landing onshore, Koenigsmann said.